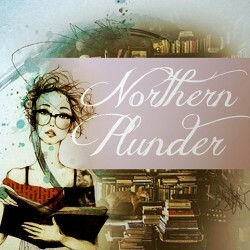 Hey look I'm posting the review here before on my blog because I have no idea when I'm going to get round to the rest of the series and I intend to post all reviews at once onto the blog. 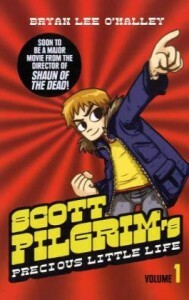 I spent a lot of time deciding whether I would review the Scott Pilgrim series and finally decided to take a shot at it, unfortunately I'm pretty sure they'll all end up as mini-reviews as not only are they short, they're also graphic novels so a lot of the story-telling is down to the art. As someone who has watched the movie at least five times I figured it was about time to read the books too as I had bought them all for the boyfriend, unfortunately I think this didn't help when it came to picking volume one up. Whilst I adore the humour, story and art of this series I kind of expected there to be more than what was shown in the movies, you know a little more padded? and it wasn't. I know I shouldn't really criticise the book for this, but instead congratulate the movie for cutting so little out, but it did leave me feeling a little disappointed which is why I couldn't go for a full 4 stars. I think now that I know to expect it to my very very similar to the movie I'll enjoy the rest of the series more.